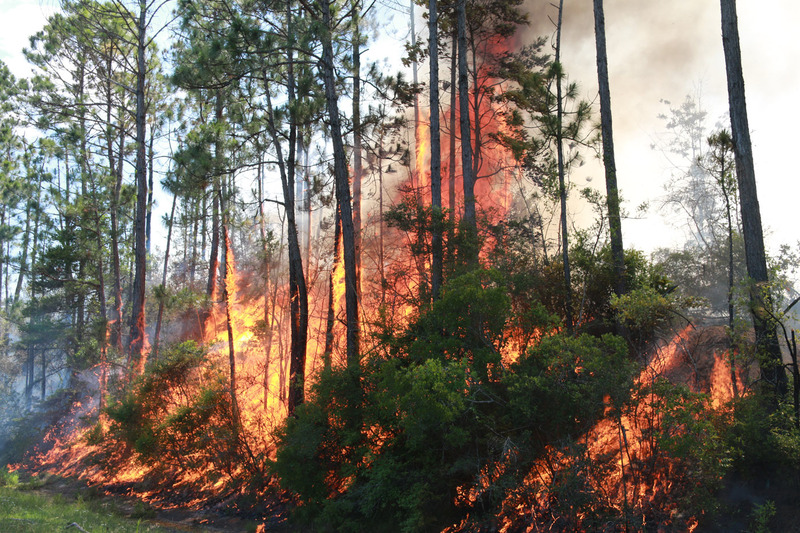 Our recent cool, dry weather has led to an increased wildfire risk. 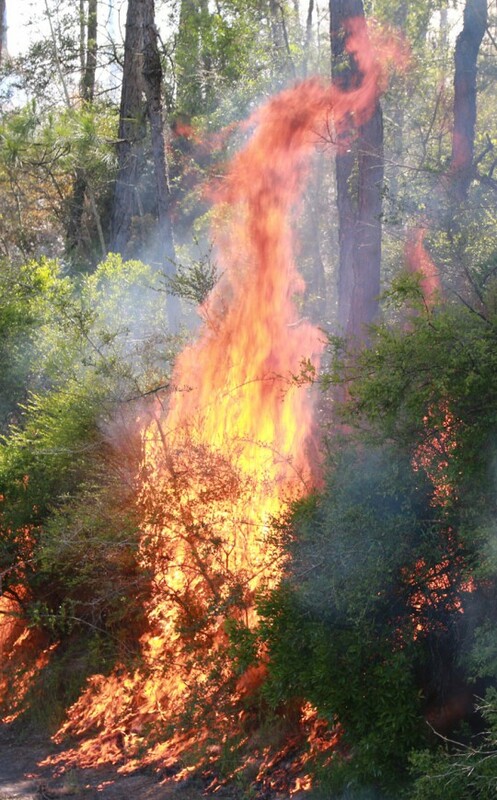 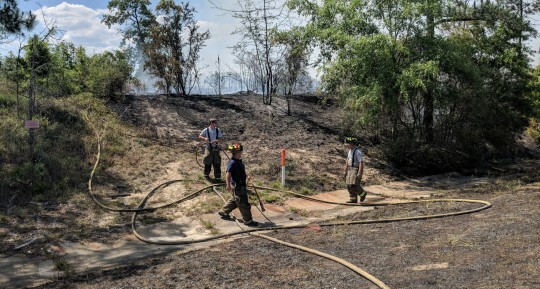 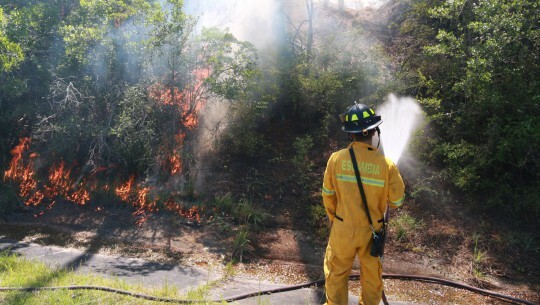 As northwest Florida is starting to reach the peak of its year-round wildfire season, officials with the Florida Forest Service are asking residents to be careful if they choose to burn yard debris. 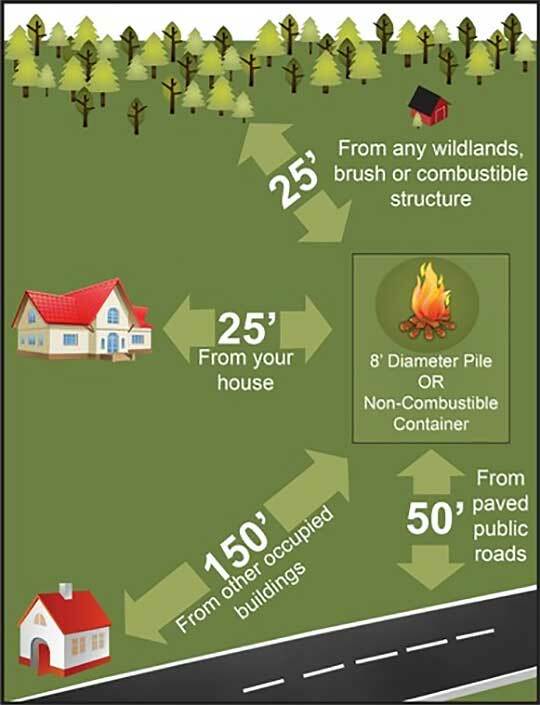 Piles greater than eight feet require a burn authorization from the Florida Forest Service and must meet more stringent standards. 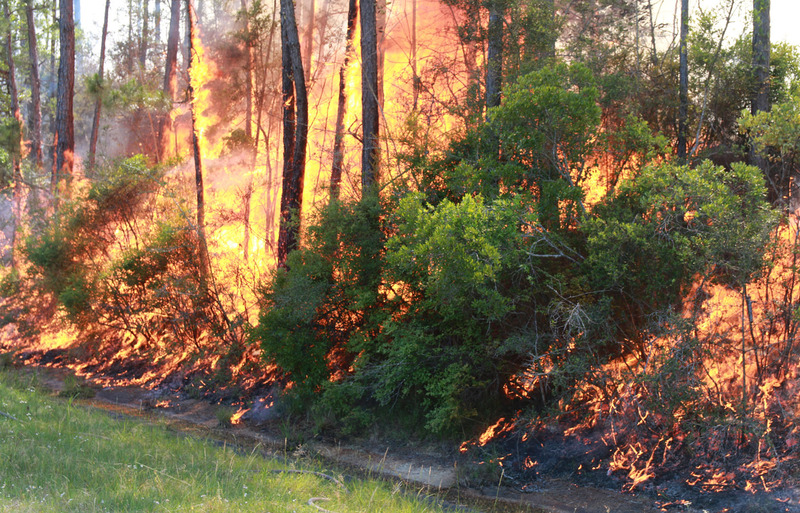 For more information about authorizations, call Blackwater Forestry Center headquarters at (850) 957-5701. Pictured: A wildfire last May on Highway 29 in McDavid just south of Pine Barren Road. 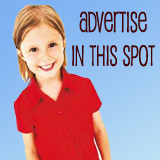 NorthEscambia.com photos, click to enlarge.